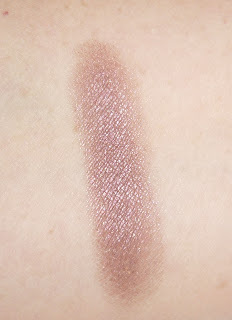 Don’t miss out on my Maybelline Color Tattoo Giveaway!!! Today’s post is another EOTD using one of my Maybelline Color Tattoos – Pomegranate Punk. This is my version of a Valentine's Day look EmilyNoel83 did recently J. You can check that out here. Emily has excellent product reviews! 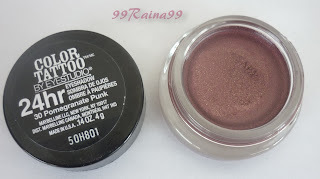 Pomegranate Punk as the base colour on my lid and crease. As you can see, it comes across as a mauvy brown on me. 88 palette; a warm light brown as my blending colour in my crease up to brow bone and a dark brown as the outer V.
Eyeliner: L’Oreal Lineur Intense Liquid liner in Carbon Black and L’Oreal Infallible Eyeliner Black on lower lash and waterline. Pomegranate Punk is now becoming one of my favorites. I had originally thought it was going to be too burgundy for me to pull off but was pleasantly surprised that it came off so warm. 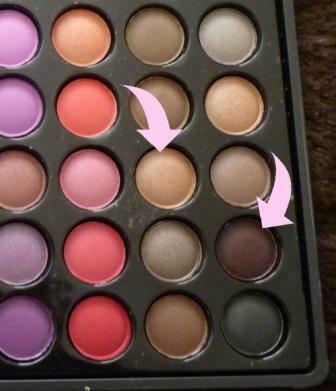 It goes to show that you can never judge an eyeshadow by just looking at it! I found Pomegranate Punk is buildable to a certain extent. If you put too much on it starts to look a little cakey. Too little and it is so sheer to even be noticed really. I find patting it on with my ring finger and not dragging the shadow works best for application. The look you have created is absolutely gorgeous.